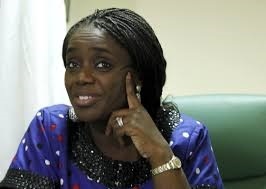 Finance Minister Kemi Adeosun has resigned from President Muhammadu Buhari's cabinet. Adeosun has been accused of forging her National Youth Service Corp (NYSC) certificate. According to sources, the resignation followed the allegation of not serving the compulsory NYSC, and obtaining a certificate that the NYSC has disowned. Bounce News source in Abuja revealed that Adeosun may have visited Aso Rock Villa late on Thursday and may have met with representatives of the president for about an hour.